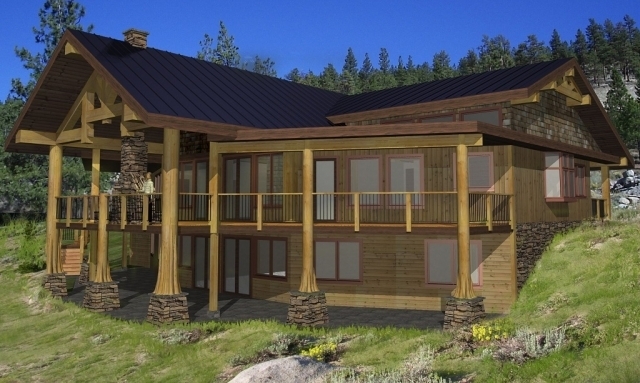 Coastal black is a timber frame log home plan with an efficient layout. The main floor hosts a sprawling kitchen, dining and living area, office and large laundry room. 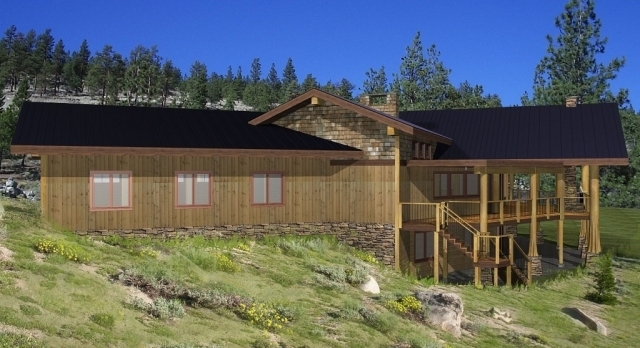 The master suite boasts an open bedroom/bathroom concept, home gym, and access to two covered decks. The basement houses five bedrooms, three bathrooms, wine room, a second laundry room and large rec room. 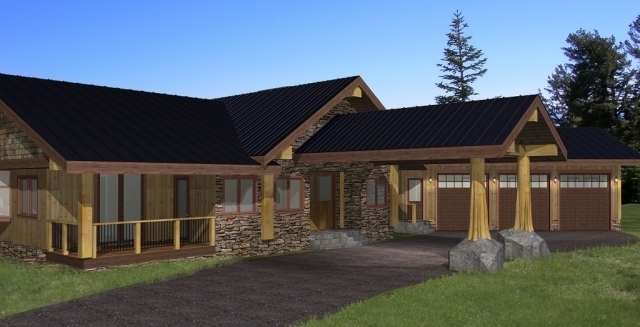 Enjoy the features of this home such as the two-sided fireplace, outdoor kitchen and 20” timbers.